Sara Brewer, freshman, has dreamed of being a college cheerleader for as long as she can remember. As a child, she would watch movies with cheerleaders in them and go to high school games just to watch the cheerleaders. She began her journey as a cheerleader when she was in the fourth grade and hasn’t stopped since. 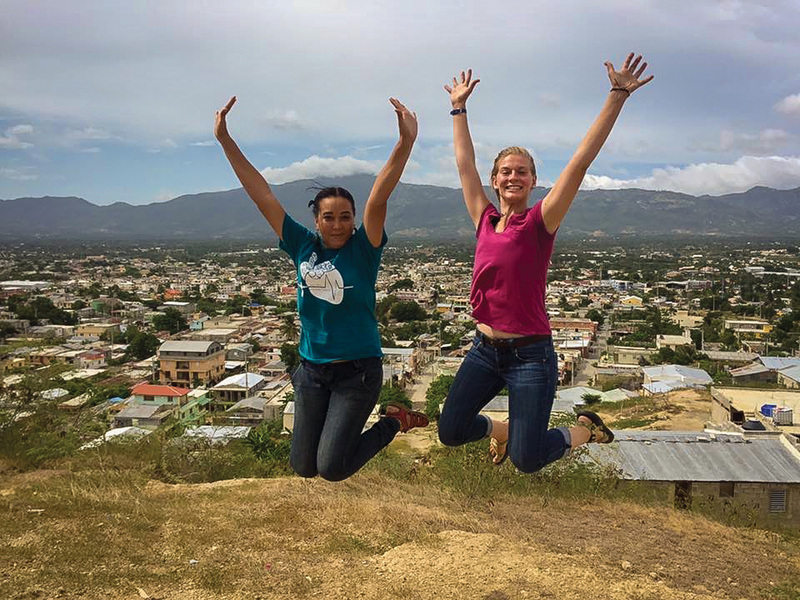 When Brewer was in sixth grade, she began attending the Christian Cheerleaders of America (CCA) camp, and continued attending until she was a senior in high school. The summer before her freshman year of college, Brewer became a staff member for CCA. Through CCA, Brewer met Greenville College’s cheer coach, Sean Anthony. While getting to know Coach Anthony, Brewer was inspired and encouraged by his passion as a coach. 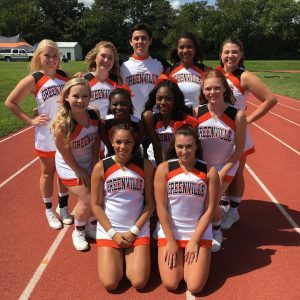 During her first summer as a staff member for CCA, Brewer asked Coach Anthony if he had any spots on his college team, and that is how she became a Greenville College cheerleader. said Brewer, explaining that her favorite thing about cheering for Greenville College is game day. From the very beginning, the entire team became great friends. Brewer and the rest of the cheer team engaged in cheer camp before school began. Brewer enjoyed “getting to laugh and have fun” with her new teammates during cheer camp. To this day, the team is still close and the bond is growing stronger as the year goes on. Brewer has gained much more than the skills of being a cheerleader; she has become a stronger person during her time as a cheerleader at GC. “I have a lot more confidence to do things, like interviews. I can get up in front of people and speak now, where I used to be really nervous.” Brewer is now able to smile in front of a crowd, rather than be fearful. Brewer’s hopes for her future in cheerleading go farther than being a college cheerleader. Coach Anthony’s skills as a cheer coach have inspired Brewer to dream of becoming a college cheer coach who is just as amazing as he is. Eventually, Brewer would like to be a cheer coach at a D1 school. Her greatest hope when she becomes a college cheer coach is to “be a really good Christian influence” for the team she coaches. Just like Coach Anthony does for Greenville’s team, Brewer would like to have team devotions when she coaches. She wants to bring God into her future team’s practices and for that team to have a spiritual relationship with God.